The people of South Sudan have rarely known peace. In fact, it ranks highest on the Fragile States Index, meaning it is more vulnerable to conflict or collapse than any other state in the United Nations. But amazingly, despite the turbulence, Bible translation has been taking place. The Baka translation began in 1980, and in March 2017, the Baka community celebrated the launch of the New Testament. Pray that the Baka people are experiencing freedom in Christ through reading and trusting in his word. 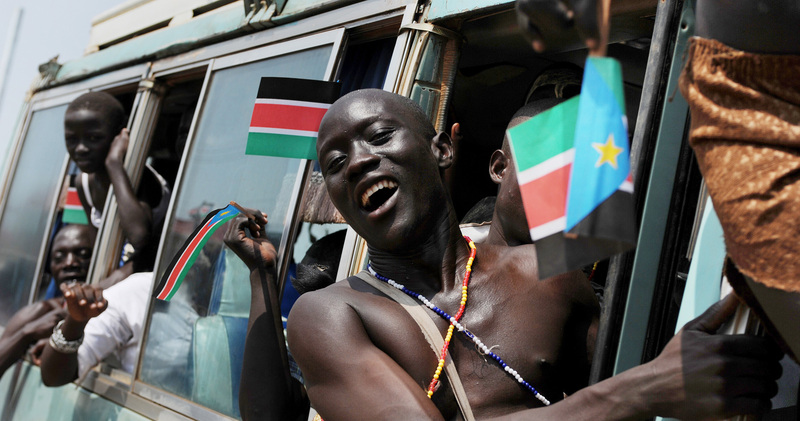 Pray for South Sudan to become a strong and stable nation because they have heard and put into practice God’s word. Sudan Evangelical Mission (SEM), works to raise the quality of life for disabled people in their own communities, where they are most vulnerable. They commonly have nobody to take care of them. In areas where a Community Based Rehabilitation programme has been implemented by SEM, people with disabilities will tell you they have experienced a positive change in attitudes, whereas before they were hidden from public view by family members. Pray for real acceptance throughout South Sudan towards disabled people. Due to the insecurity in South Sudan many people fled over the borders to refugee camps in Uganda, including the translators working on the Keliko New Testament. 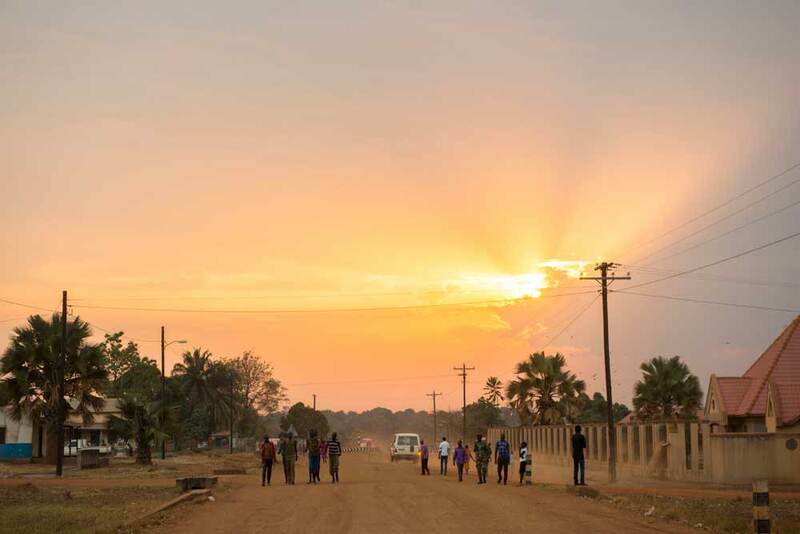 The translators have now left their wives and families in northern Uganda and returned to Juba, in preparation for the typesetting of the New Testament in a few months’ time. Pray for the Keliko translators as they do the final checks before printing the New Testament. Ask God to help them produce a natural, clear and accurate translation. The Baka people of South Sudan now have the New Testament and Genesis in their heart language. Rejoice with us that they have made it to the finish line. This project has faced war, famine and hardship. For a few years the team lived and worked from a refugee camp. When the boxes of New Testaments were opened to sell, a big crowd surged towards the tables, waving their money in the air. As people got their hands on their copies they sat down and started reading immediately. Praise God that his transforming word is in their hands. The Leprosy Mission’s work in South Sudan aims to improve communities' basic hygiene, sanitation and health, support the livelihoods of vulnerable groups, and improve access to education. They also advocate on behalf of people affected by leprosy, assisting them to work together to have a voice in matters affecting them. Pray that this will help to transform the lives of people affected and those in disadvantaged communities. In particular, pray for the work in Luri Rokwe leprosy community in Juba which is improving water and sanitation facilities and raising awareness about disability rights. Pray that this work, in a poor slum area of Juba, will help to bring the community together and rebuild lives. Pray also that children affected by leprosy and disabled children will be included in education. 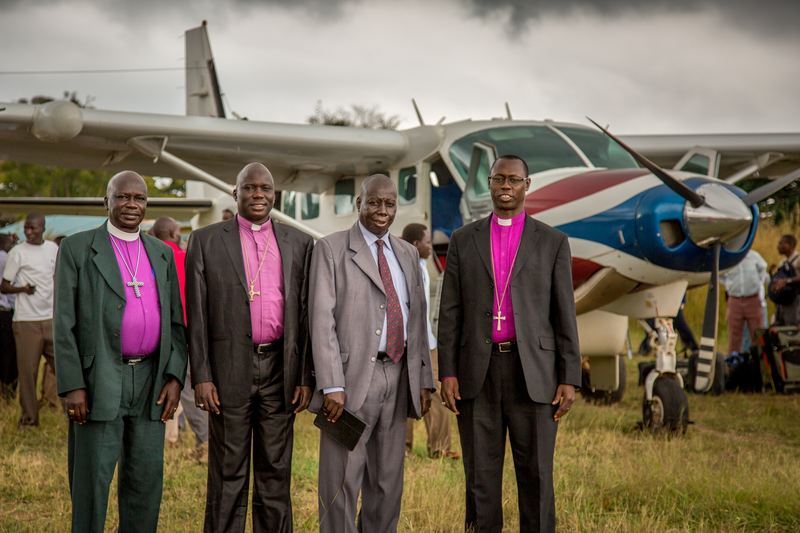 Pray for the work of the Episcopal Church of South Sudan (ECSS) as they travel throughout South Sudan carrying out workshops on healing and reconciliation. Pray that this work would be effective and bear fruit and that many would receive the comfort, strength and healing in this war torn country. The World Council of Churches has highlighted a new course titled Reconcile – Moving Forward in Peace, inviting people to be peace-builders this Lenten season. Themes include tribalism, causes of friction, domestic violence and the understanding of peace. Pray for its wide use and fruitfulness amidst the conflict in South Sudan which has gravely affected all communities since the country’s independence from Sudan in 2011. The crisis in South Sudan, though neglected by the media, is far from over. In fact it appears that the worst may still be ahead. Outbreaks of violence between government and opposition forces continue in pockets, particularly areas such as Malakal. One million people have been displaced in the months since the crisis started. The slow moving peace talks have often been suspended, suggesting the inability of the warring parties to reconcile and forgive for the sake of their people. Continue to pray for peace but also for the work to provide clean water and food - malnutrition is particularly common among children. Please pray for the world’s youngest country, South Sudan. Since violence erupted in December it’s been estimated that thousands have died and a staggering 600,000 have had to flee their homes leaving them incredibly vulnerable. Pray for the safety of the South Sudanese. The Archbishop of Canterbury, in a recent visit to the country, encouraged the South Sudanese to “plant trees of reconciliation” instead of “trees of bitterness”. Pray for leaders to find a new way, that Jesus would invade the culture, and for justice and mercy to rain down on this nation. Please pray for the those affected by leprosy in the Malek region of South Sudan. Two women have been shot dead, one of whom was elderly. Because she was severely disabled, she was left behind and later found shot in her head and chest. The leader of the village was also shot, but is still alive with a head injury. He too, is severely disabled with leprosy. Please pray for the other people in their community that they will not be afraid and that they will be comforted by God’s love. Pray that the leader will be healed and for all the families affected to find their comfort in the Lord. Nyakuach Mayien gave birth in one of the riskiest places in the world for a child to be born - South Sudan. Hunger soon left her daughter Nyayian struggling to survive and her tiny body became wracked with illness. The statistics for maternal and child mortality in South Sudan are high – one in nine children die before their fifth birthday and 20% are malnourished. So for Nyakuach and Nyayian, the presence of a feeding centre in Pieri, Uror County, was a real Godsend. Trained staff provided food supplements and gave nutritional advice. With half of South Sudan’s population under 18 and the country having few health services, pray for Tearfund’s ECHO-funded feeding centres, which are helping to safeguard this vulnerable part of the population. Juba Leprosy Village in South Sudan is in desperate need of development. Since the war, residents are struggling to survive. Families have been evicted from their land, their houses destroyed and the area has become a dumping ground for the city’s waste. Some have been given small plots of land; others are left with nothing, living in hot, uncomfortable tents. They long for proper houses where they can care for their families. Hunger is a rife. Many are too old or disabled to work, so their children work rather than attend school, or they beg for survival. Pray for the provision of food, houses, education and good health care and that The Leprosy Mission will be sensitive to the people’s needs and show God’s heart to those who feel no-one cares for them. The Laarim are a Nilotic people living in the Boya Hills of South Sudan. They live in small settlements in a rugged and hilly terrain with rich savanna, high grasslands and scrub bushes. Among the Laarim, many relationships within families, groups of friends, and the community, are troubled with mistrust and jealousy. Please pray that people would experience the love of Jesus and turn to Him to find healing in their relationships. Pray too for the Lord to prepare and raise up workers from outside and within the Laarim community to reach the Laarim people with the gospel. The Lopit are an unreached people group who inhabit the Lopit hills in Torit district in South Sudan. They believe in a supreme god, spirits and the spiritual sphere. Worship celebrations are accompanied by dancing and drinking, and alcoholism is a problem. The rain-maker and other mediums hold great power, and gifts are given to seek their favour for rain and other good things. Pray that the secondary school students will receive more than knowledge of school subjects; that they will experience a real intimacy with their loving heavenly Father, a passionate relationship with Jesus and a sensitivity to the Holy Spirit as they live in a very animistic community.